LG 2017 TVs continue to impress, especially with the SIGNATURE W7 OLED TV. OLED’s amazing picture quality coupled with the new razor thin TV panel makes for a gorgeous display. 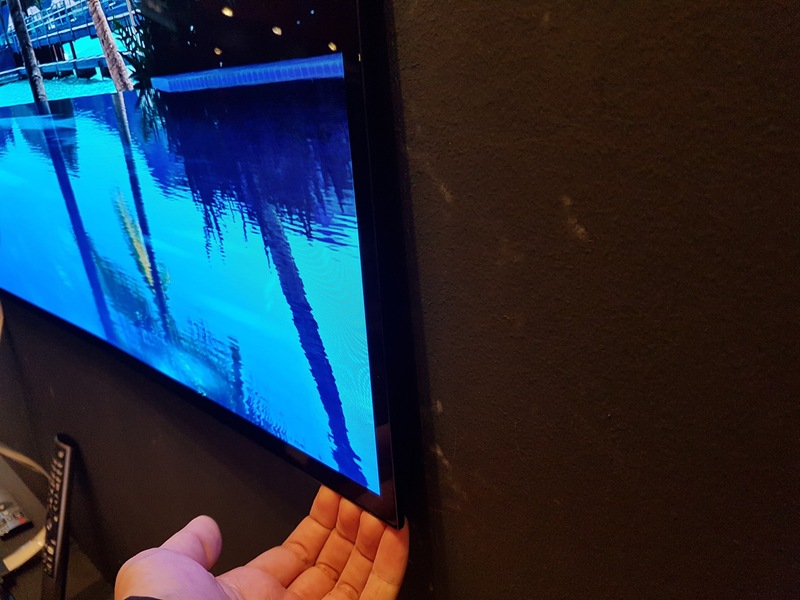 This TV is only 2.75mm thin, just two coins stacked together, and blends in seamlessly into your wall. It can only be wall mounted, and is actually held in place by a magnetic frame. When mounted, there is a very thin 1 mm gap with the wall, which ensures no silhouette cast on the wall and it blends in seamlessly, giving off the impression of a window to another world. If you are wondering how LG saves space, and if sound quality is an issue due to the thin frame, LG offers an interesting and practical engineering solution. 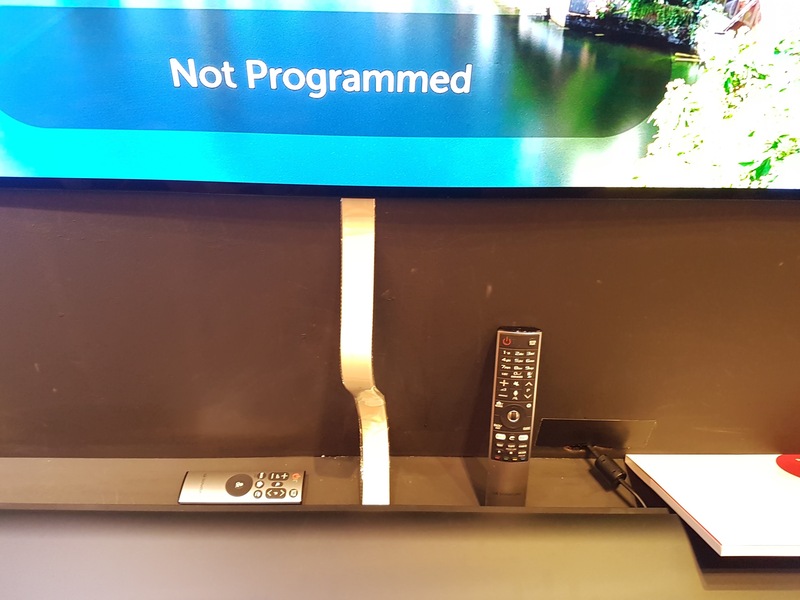 The included soundbar is actually the brains of the TV. It contains all the connections for the screen, including the inputs and power. Between the soundbar and TV is a flat ribbon cable, which can be hidden behind a trunking or a TV feature wall. The soundbar offers Dolby Atmos compatibility and sports 4 HDMI inputs, 3 USB ports, and optical and 3.5 mm ports. 2017 buzz word for TV and display specs is HDR, and LG is compatible with the latest formats. The competition, well Samsung, also recently announced their 2017 TVs, but in terms of product design and image quality, LG really is the clear winner here. One interesting tidbit is that curved screens have been dropped from LG line up. Well, it’s really a sign that curved TVs aren’t that practical, due to the limited viewing range. The W7 OLED TV will be available next month in 65″, at $12,888. LG 2017 lineup of LG OLED TVs will offer content for an immersive experience on both the visuals and audio. Among the TVs showcase yesterday was the G7 OLED TV and SUPER UHD series too.